A new Italian informatics portal and much more! 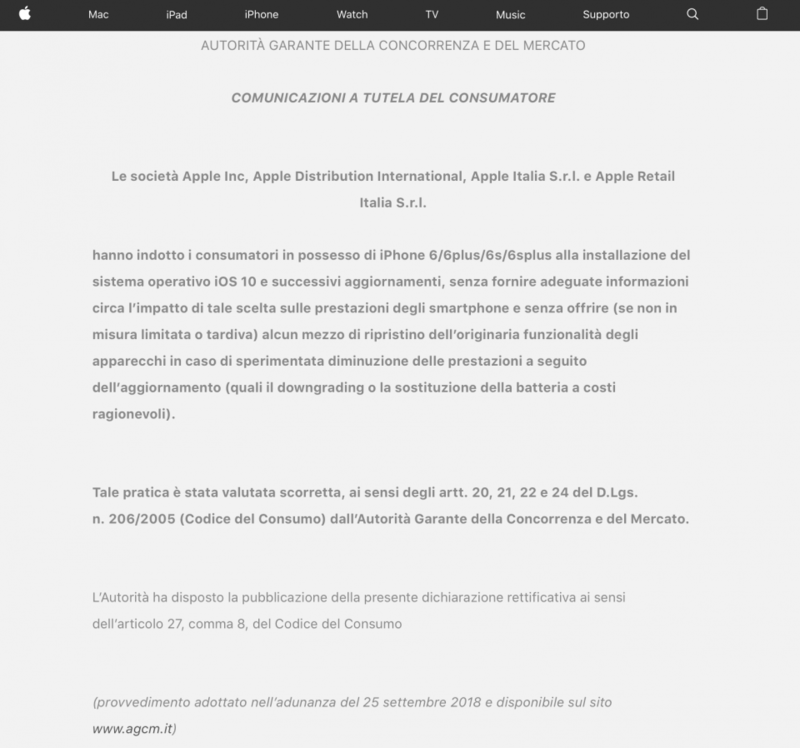 Apple obliged to publish the sentence concerning planned obsolescence. 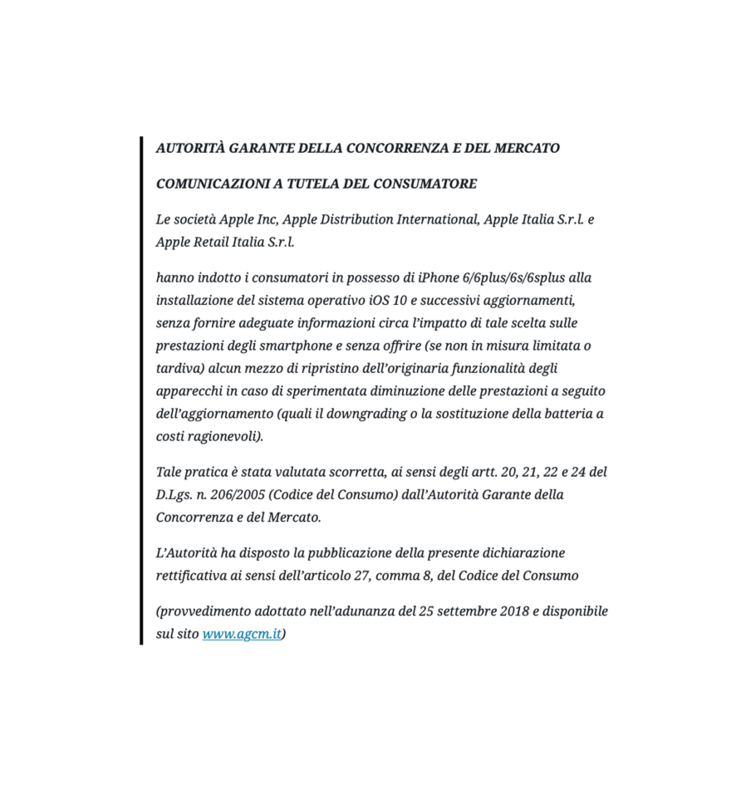 Apple was obliged to publish the AGCM ruling regarding planned obsolescence, right on the Italian website. Apple was forced after losing a lawsuit in Italy to publish the negative sentence on the planned obsolescence of the iPhone 6 and 6s. Even Samsung was forced to make the same admission with the burden of have misled the users, even with false information on updates. The two companies failed to inform users about the negative impact of updates on device performance. Both companies have justified the reduction in CPU performance, favorable for battery conservation, as well as the problem that some devices are turned off suddenly, will be true? What do you think ? Let us know in the comments. Human verification (required): 5 + 2 = ? Manteniamo privati ​​i tuoi dati e condividiamo i tuoi dati solo con terze parti che rendono possibile questo servizio. Leggi la nostra politica sulla privacy. Sviluppo Mania by Francesco Candurro is licensed under a Creative Commons Attribution-NonCommercial-NoDerivatives 4.0 International License. Copyright © 2017-2019 SviluppoMania.com. Tutti i diritti riservati.